The Puritans [were] burning and shining lights. When cast out by the black Bartholomew Act, and driven from their respective charges to preach in barns and fields, in the highways and hedges, they in a special manner wrote and preached as men having authority. Though dead, by their writings they yet speak: a peculiar unction attends them to this very hour (Works, 4:306-307). Whitefield went on to predict that Puritan writings would continue to be resurrected until the end of time due to their scriptural spirituality. Today, we are living in such a time. Interest in Puritan books has seldom been more intense. In the last fifty years, 150 Puritan authors and nearly 700 Puritan titles have been brought back into print. Puritan literature has so multiplied that few book lovers can afford to purchase all that is being published. What books should you buy? Where can you find a brief summary of each Puritan work and a brief biography of each author so that you can have a glimpse of who is behind all these books? These kinds of questions motivated Randall Pederson and me to write Meet the Puritans: With a Guide to Modern Reprints. In this book, we tell the life stories of the 150 Puritan writers who have been reprinted in the past fifty years. We have also included concise reviews of the 700 newly published Puritan titles plus bibliographical information on each book. And we have noted the books that we consider most critical to have in a personal library. We had four goals for writing this book: first, that these godly Puritan writers will serve as mentors for our own lives. That is why we have told the stories of the Puritans on a layperson’s level and kept them short. You could read one life story each day during your devotional time. Second, we trust that when you read these reviews of Puritan writings, you will be motivated to read a number of these books, each of which should help you grow deeper in your walk with the Lord. Third, we hope this book will serve as a guide for you to purchase books for your families and friends, to help them grow in faith. Finally, for those of you who are already readers of Puritan literature, this guide is designed to direct you to further study and to introduce you to lesser-known Puritans that you may be unaware of. Just who were the Puritan writers? They were not only the two thousand ministers who were ejected from the Church of England by the Act of Uniformity in 1662, but also those ministers in England and North America, from the sixteenth century through the early eighteenth century, who worked to reform and purify the church and to lead people toward godly living consistent with the Reformed doctrines of grace. Puritanism grew out of three needs: (1) the need for biblical preaching and the teaching of sound Reformed doctrine; (2) the need for biblical, personal piety that stressed the work of the Holy Spirit in the faith and life of the believer; and (3) the need to restore biblical simplicity in liturgy, vestments, and church government, so that a well-ordered church life would promote the worship of the triune God as prescribed in His Word (The Genius of Puritanism, 11ff.). Doctrinally, Puritanism was a kind of vigorous Calvinism; experientially, it was warm and contagious; evangelistically, it was aggressive, yet tender; ecclesiastically, it was theocentric and worshipful; politically, it aimed to be scriptural, balanced, and bound by conscience before God in the relationships of king, Parliament, and subjects; culturally, it had lasting impact throughout succeeding generations and centuries until today (Durston and Eales, eds., The Culture of English Puritanism, 1560-1700). Do you want to read books that put you into the Scriptures and keep you there, shaping your life by sola Scriptura? Read the Puritans. Read the Soli Deo Gloria Puritan Pulpit Series. As you read, enhance your understanding by looking up and studying all the referenced Scriptures. Devotional reading should be confrontational as well as comforting. We grow little if our consciences are not pricked daily and directed to Christ. Since we are prone to run for the bushes when we feel threatened, we need daily help to be brought before the living God “naked and opened unto the eyes of with whom we have to do” (Heb. 4:12). In this, the Puritans excel. If you truly want to learn what sin is and experience how sin is worse than suffering, read Jeremiah Burroughs’s The Evil of Evils and Thomas Shepard’s The Sincere Convert and the Sound Believer. For books that beautifully balance objective truth and subjective experience in Christianity; books that combine, as J.I. Packer puts it, “clear-headed passion and warm-hearted compassion” (Ryken, Worldly Saints, x); books that inform your mind, confront your conscience, and engage your heart, read the Puritans. Read Vincent Alsop’s Practical Godliness. 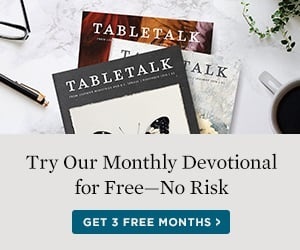 If you are just starting to read the Puritans, begin with John Bunyan’s The Fear of God, John Flavel’s Keeping the Heart, and Thomas Watson’s The Art of Divine Contentment, then move on to the works of John Owen, Thomas Goodwin, and Jonathan Edwards. For sources that introduce you to the Puritans and their literature, begin with Meet the Puritans. Then, to learn more about the lifestyle and theology of the Puritans, read Leland Ryken’s Worldly Saints: The Puritans As They Really Were (Grand Rapids: Zondervan, 1990), Peter Lewis’s The Genius of Puritanism (Morgan, Penn. : Soli Deo Gloria, 1997), and Erroll Hulse’s Who are the Puritans? and what do they teach? (Darlington, England: Evangelical Press, 2000). Then move on to James I. Packer’s A Quest for Godliness: The Puritan Vision of the Christian Life (Wheaton, Ill.: Crossway Books, 1990) and my Puritan Reformed Spirituality (Darlington, England: Evangelical Press, 2006). In his endorsement of Meet the Puritans, R.C. Sproul says, “The recent revival of interest in and commitment to the truths of Reformed theology is due in large measure to the rediscovery of Puritan literature. The Puritans of old have become the prophets for our time. This book is a treasure for the church.” So, our prayer is that God will use Meet the Puritans to inspire you to read Puritan writings. With the Spirit’s blessing, they will enrich your life in many ways as they open the Scriptures to you, probe your conscience, bare yours sins, lead you to repentance, and conform your life to Christ. Let the Puritans bring you into full assurance of salvation and a lifestyle of gratitude to the Triune God for His great salvation. You might want to pass along Meet the Puritans and Puritan books to your friends as well. There is no better gift than a good book. I sometimes wonder what would happen if Christians spent only fifteen minutes a day reading Puritan writings. Over a year that would add up to reading about twenty average-size books a year and, over a lifetime, 1,500 books. Who knows how the Holy Spirit might use such a spiritual diet of reading! Would it usher in a worldwide revival? Would it fill the earth again with the knowledge of the Lord from sea to sea? That is my prayer, my vision, my dream. Tolle Lege—take up and read! You will be glad you did. Dr. Joel R. Beeke is president of Puritan Reformed Theological Seminary and pastor of Heritage Netherlands Reformed Congregation in Grand Rapids, Mich. He is author of Piety: The Heartbeat of Reformed Theology.